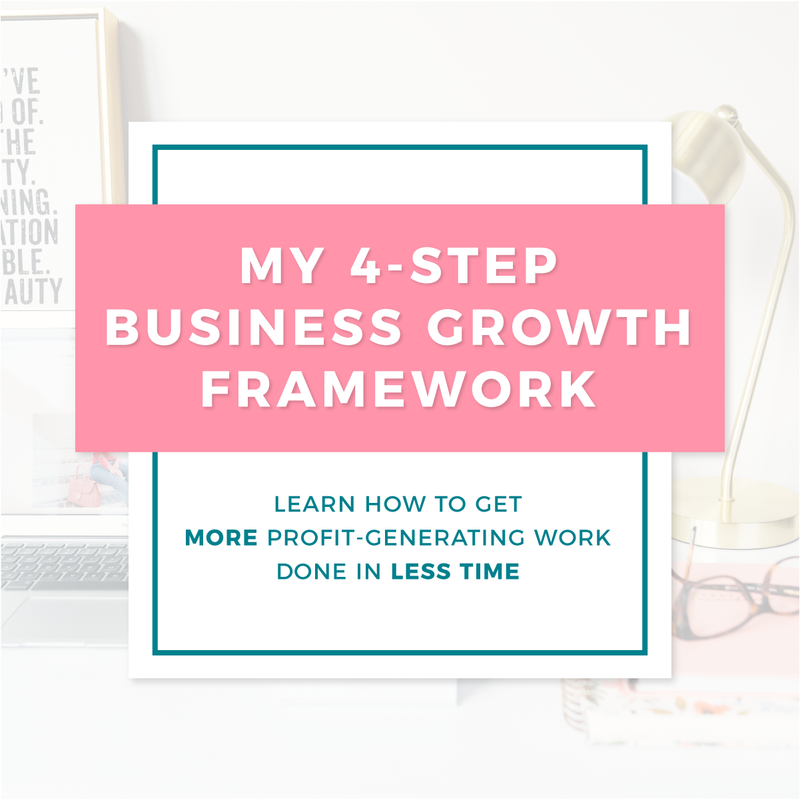 ✔️ I discuss why it is critical for you to look back at what worked, what didn’t work, what surprised you, what you learned, and your numbers before you step foot into the next quarter. 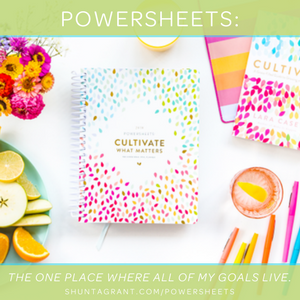 ✔️I give you a free quarter assessment that gives you everything you need to thoughtfully review the previous quarter (see below for download). I don’t know much about sports. But, one thing I that I do know is that after every game the team goes back to review the footage from the game. Why? They want to see what they did well, didn’t do well, what surprised them, and just get a sense of how the game actually went. This is exactly what you’re going to do when you go back to review your previous quarter. You may feel that your quarter went one way, but the numbers and data may reveal a different story. 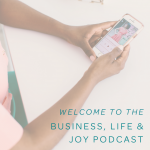 We cannot run our businesses based on feelings, i.e., “I feel like my sales went up last month.” We must review the numbers at the beginning of each new quarter (April, July, October, and January). Our past results, behaviors, and actions gives us great insight to guide us in how we want to proceed moving forward in our business. ✔️ Remind yourself of your focus for that quarter. 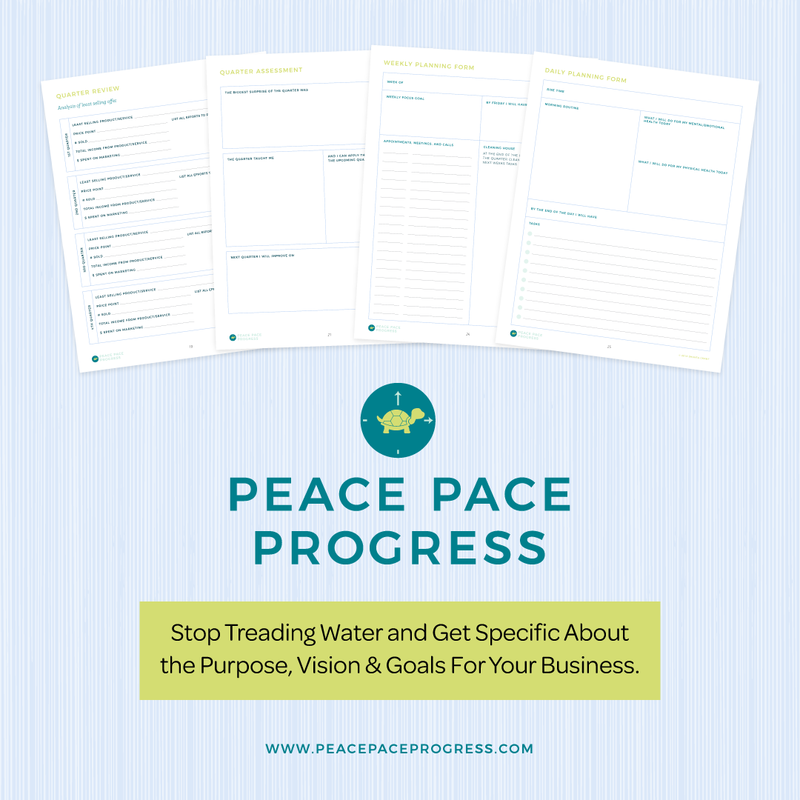 At the end, you can see if you accomplished the measurable goals that are associated with your focus. ✔️Review your number of sales (monthly and overall) by running a report through your accounting software or whatever you use to keep track of your sales. It’s also helpful to do this every month so it’s already complete when you go to review your quarter. 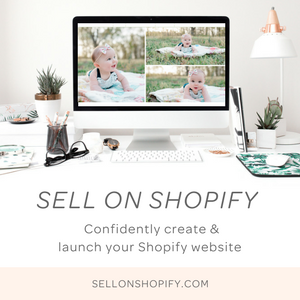 Track the dollar amount as well as the number of sales each month, which will help you in making projections over time. ✔️Review your email marketing numbers. 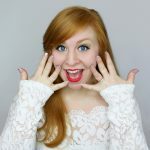 Note how many emails you sent out each month and how many subscribers you gained each month. Track your best open rate and your best click rate each month. This is all free information that will help you figure out what your audience wants, needs and cares about and what you’re doing right. ✔️Use the blank box to add any other factors that you want to keep track of to customize it to your business. ✔️Look at what were your best selling products or services for that month. The buying activity of your audience tells you what they want and need and how you should plan products going forward. ✔️Look back at the number one source that sent people to your website. This will tell you what platforms and services you should continue to invest your time and efforts. Additionally, you may have the opportunity to recreate the results from your successful marketing in the next quarter. ✔️Track your paid advertisements if you use them. You want to know which ads were highly converting. 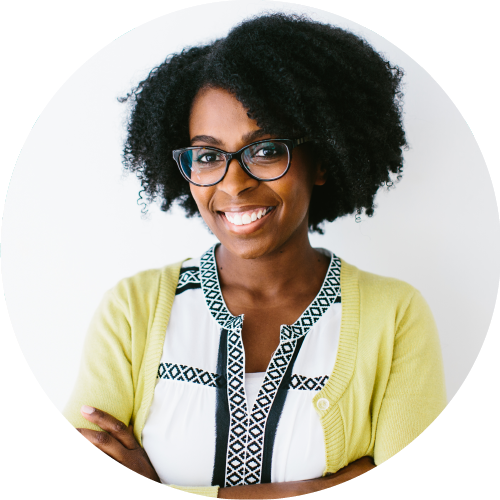 When you’re spending your money you want to make sure you’re doing it in a way that will give you the best results for the lowest cost. ✔️ Which platforms are bringing you the most results? Those results can be sales, leads, subscribers to your email list, etc. ✔️What did your audience respond to the most and the least and what does that tell you about what you might need to take away from your offering? ✔️What areas did you give the most focus (i.e. content, product, cultivating relationships, marketing, internal systems/backend, education)? Or were you bouncing around trying to focus on multiple things? Gathering all this information is actually the easy part. 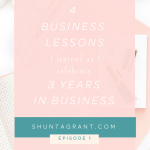 Now take a look at this snapshot of the last three months, and ask yourself what did this quarter teach you and how will you apply these lessons to your business in the upcoming quarter. Also, ask yourself what was the biggest surprise, what did you do right, and what can you learn from the things you may not have done right? Do not let the fear that you didn’t do much last quarter or that there were things you did wrong stop you from completing this assessment (see Episode 6). Seeing it all on paper will hopefully be a motivator and an encouragement to change things in the upcoming quarter. 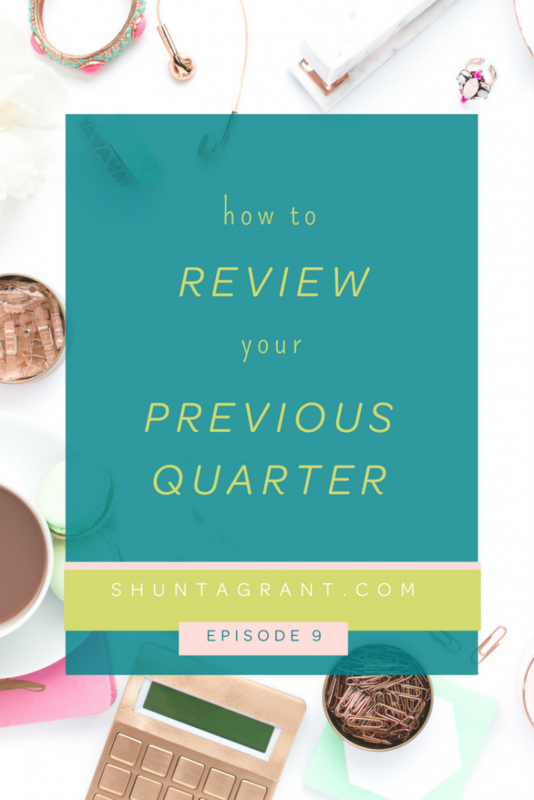 Even if you had a stellar quarter, make sure to take the time to pause to review each and every quarter. 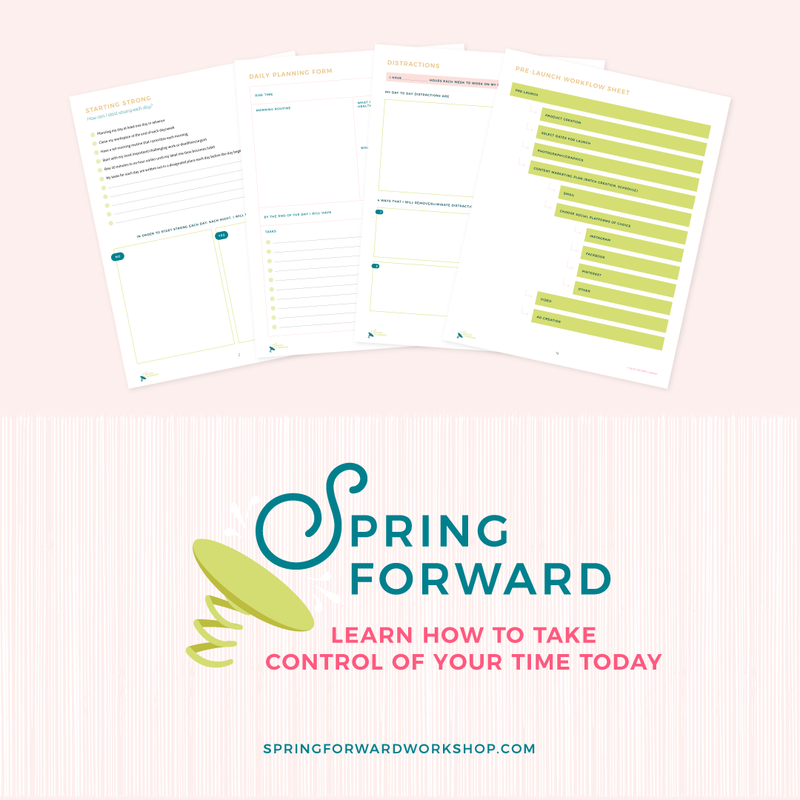 It will help you assess what things went well that you should continue to do going forward. No matter how long you’ve been in business, you can and should always go back and review because it will always help you to make better choice and decisions going forward in business and life. You have the power to choose if you will make this day better than the day before. Be the encourager that tells yourself that you can do it. The final thing I want you to do is to write out your affirmation that you want to be true at the end of the upcoming/new quarter. It can be as simple as saying, “I can do this!” Remember to repeat this every single day and back it up with the work that is necessary to accomplish your affirmation. 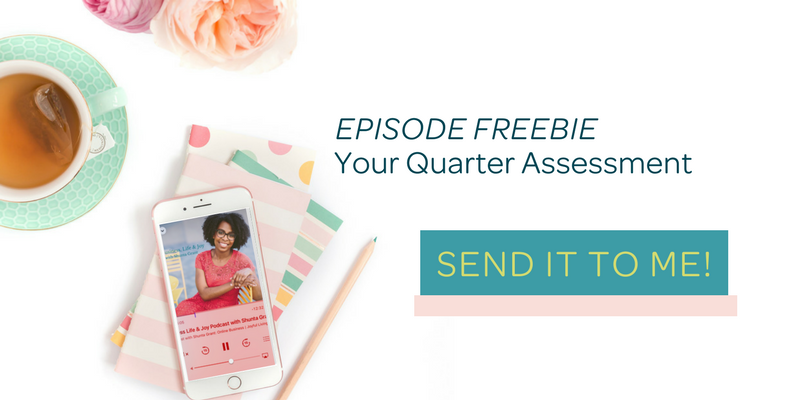 Download this week’s free Quarter Assessment and begin being intentional about tracking the data in your business. Then, come on over to Instagram @shuntagrant and share with me your #1 takeaway from today’s episode.